The State of the Village was an event for a select few: On Thursday an elite group of Bolingbrook business owners, residents and guests, along with countless politicians, listened to Mayor Roger Claar provide his view of the state of our Village. The event took place at the taxpayer funded and owned Bolingbrook Golf Club. Like previous years, if residents wanted to attend the event they had to pay a staggering fee of $70 per person. Many residents cannot afford that high-ticket price or have the ability to take time off work to attend the event, which was held on a Thursday afternoon. As a result, such residents are relegated to watching it over the internet or on public access television. Bolingbrook United believes that the State of the Village should be held at Village Hall or the Bolingbrook High School, during the evening, with no cost to attend. It should be open to all residents, and not just those who can afford to take time off of work and pay an exorbitant fee to attend. There is need for more economic development: During his address, Mayor Claar expressed his concerns about the economic shift away from typical brick and mortar retail and the effect it is having on local tax revenue. He complained about the Bolingbrook Commons Shopping Center, the former location of Century Tile, and mentioned how it is an eyesore. He specifically noted that little has changed with the Shopping Center since he became mayor over 34 years ago. While Bolingbrook United agrees with Mayor Claar about these concerns, we believe that his inaction has allowed this ‘eyesore’ and many other retail spaces to remain as virtual ghost towns with mass vacancies and unrenovated buildings. One of the first things Trustee Bob Jaskiewicz, of Bolingbrook United, did after being elected was discuss with Mayor Claar the need for an Economic Development Committee, which would look at how to better utilize these spaces, attract new businesses, and turn ‘eyesores’ into functioning businesses that improve our community. Mayor Claar refused to consider Trustee Jaskiewicz’s suggestion. Instead, during the State of the Village, Mayor Claar stated there was nothing that could be done for such areas. Instead of complaining and throwing in the proverbial towel, Mayor Claar and the rest of Village Hall should be taking action. Bolingbrook United believes that an Economic Development Committee should be established immediately and that the Village should stop being complacent and instead go to work on helping to revitalize these vacant areas. The Village must address the massive debt it has incurred: Under the leadership of Mayor Claar, the Village has incurred over $300 million dollars of debt in part by expending Village dollars on frivolities such as the following: purchasing Clow airport; building the Bolingbrook Golf Club; and attempting to become a home developer by purchasing Americana Estates. At no time during his address did Mayor Claar mention how much debt the Village has, but he insisted that the Village is finished with incurring debt. Unfortunately, this is not a true statement. The Village is currently involved in litigation with Illinois American Water. In short, the Village is attempting to buy back the water system that Mayor Claar and the Village sold 20 years ago. That transaction, when it occurs, is expected to cost the Village tens of millions of dollars that will be added to our debt. Bolingbrook United believes the Village needs to come to terms with the incredible amount of debt it has incurred under Mayor Claar. The Village cannot continue to kick the debt can down the road for future generations to solve. We must do something about it now. We need to solve our trash problem and increase basic services to residents: A basic concern of many residents is trash disposal. Mayor Claar’s opposition to the use of trash cans or “toters” as they more accurately called, is well known. Since his election, Trustee Jaskiewicz has repeatedly asked that the issue of waste disposal be taken seriously and placed on the Village agenda. We’ve tried to get the Village’s attention to this important issue, to no avail; we even marched in the Pathways Parade this past year pushing toters to draw attention it. Bolingbrook United believes that the matter of garbage cans, toters, recyclable bags and waste management as a whole should be a Village agenda item. We need public discourse on this topic and we need a solution to our trash problem; for far too long, our Village has looked like a giant refuse site as a result of the trash that blows out of recyclable bins and torn garbage bags. People want to be heard on this issue and whether you are for or against toters, Bolingbrook United believes that the Village should have an active and open discussion on the issue. In addition, when it comes to snow removal, I hope we can all agree that the removal of snow from streets is a public safety issue and that residents want their streets plowed. It is neither funny nor acceptable that during the State of the Village Mayor Claar mocked residents who questioned where the plows and salt trucks were during the most recent snowfall. We know our Village employees work hard and do a great job, but we realize that we now have half as many employees in the Public Works Department than we had ten years ago. 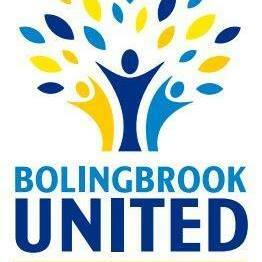 Bolingbrook United believes that resident concerns need to be taken seriously. Residents should not be insulted by their mayor for questioning a matter of safety in the Village. We must stop the “everyone else is the problem” mentality in Village Hall: During the State of the Village, Mayor Claar took the opportunity to promote his favorite candidates, businesses and political patrons – most of whom donate to his campaign fund and/or are outspoken supporters of him. He also chastised Democrats, and Republicans to a lesser degree, at the state and federal levels for not working together. We found these statements to be incredible considering that since the election, Mayor Claar has frequently used Village meetings to put down and/or denigrate Bolingbrook United, its supporters, and its suggestions/ideas. He has refused to collaborate with or listen to the concerns expressed by Trustee Jaskiewicz and those he represents who disagree with his agenda in any manner. Bolingbrook United believes that our Village should not mirror our ineffective state and federal governments. The mayor and the rest of our elected officials need to collaborate with one another, even if they are of a different political persuasion.